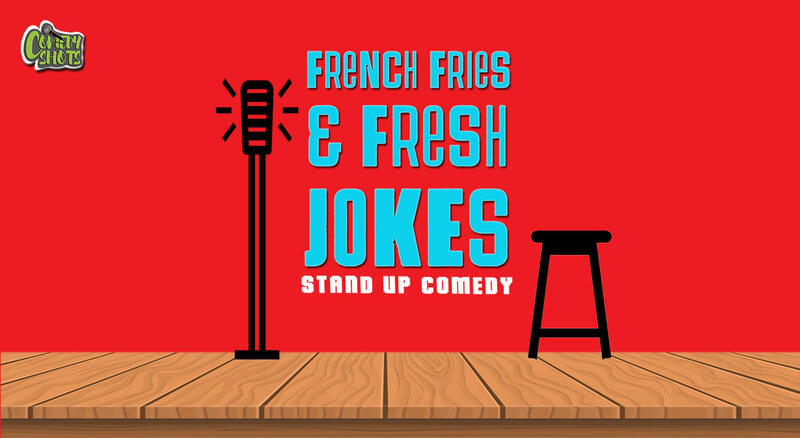 Comedy Shots in Association with Enerjuvate cafe brings you French fries and fresh jokes. This is a show where Comedians will try some of their new material for the very first time so come and be part of their journey and witness their material being Developed. Come and watch a lot of new comedians before they become famous. Disclaimer: The lineup is subjected to change every week. Watch some of the top comedians from Bangalore try out new material and expect some surprise acts from travelling comedians (Comedians from other cities).